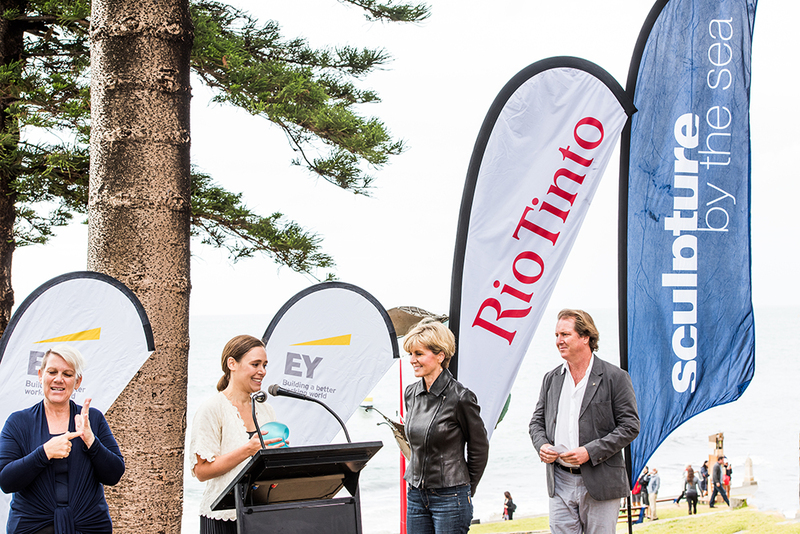 People Choice Award presented to Lucy Humphrey by Foreign Minister Julie Bishop with Auslan Interpreter (left) and David Handley (right), Sculpture by the Sea, Cottesloe 2017. Photo Stellar Fraser. Congratulations to Lucy Humphrey for ‘Horizon’ (pictured below), the Sculpture by the Sea, Cottesloe 2017 recipient of the $5,000 EY People’s Choice Award and $3,000 Kids’ Choice Award as voted by visitors of the exhibition and presented by Foreign Minister, Julie Bishop. Many thanks to Dinosaur Designs for the creation and donation of all of our Sculpture by the Sea artist award trophies. 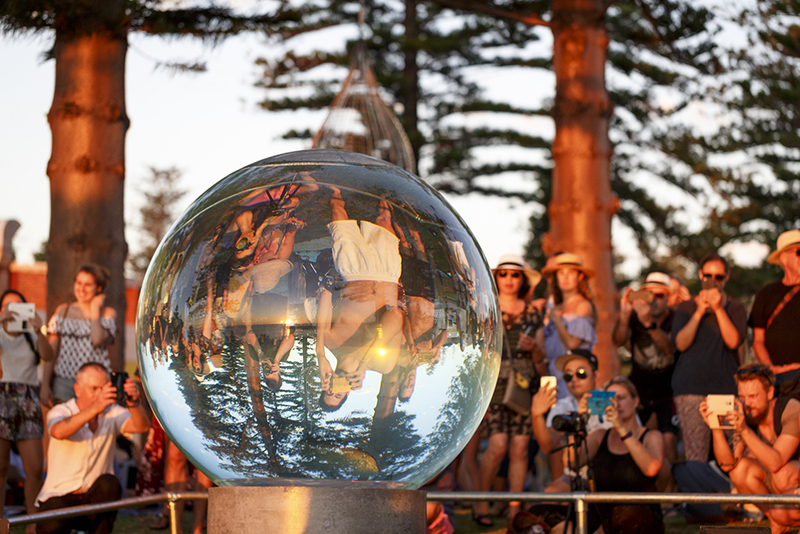 Watch our 22 second time-lapse video (below) of Lucy Humphrey’s, Horizon, Sculpture by the Sea, Cottesloe 2017. Videography by Richard Watson.